LECIP Group Exhibited at "SITCE2013"
LECIP Group exhibited at LTA-UITP Singapore International Transport Congress and Exhibition (SITCE) 2013, the largest Public transport exhibition in Singapore. 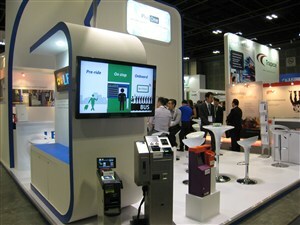 LECIP showcased its latest innovations and technologies for the transit equipment, including fareboxes for North American market, LCD displays and our novel full-color LED destination display. Furthermore, LECIP introduced its Transit management system for public transport. During the four days of the exhibition, we had a chance to meet with many clients that visited our booth, showing the most interest in our fareboxes for buses. 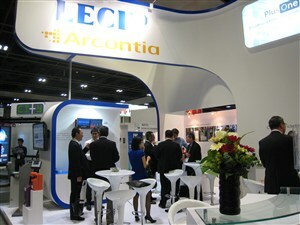 We, the LECIP Group, would like to express our deepest gratitude to all the attendees at the exhibition and especially to our customers for constant support and cooperation.